Description: Beautiful mile plus stretch of the Colorado river downstream of Willow creek reservoir and lake Granby. Good population of browns and rainbows in the 8-18 inch range. 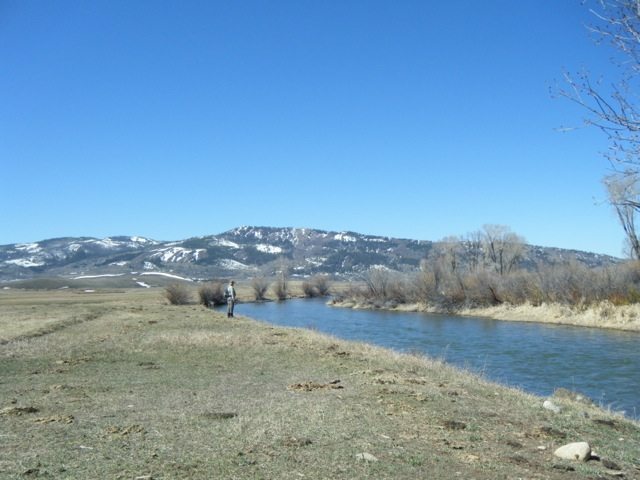 Wide stretch of river made up of mostly gravel and large boulder bottom.The river is rich in aquatic life with caddis, sow bugs, midges, and stoneflies. Location: Located 1.4 miles north of the intersection of hwy. 34 and hwy. 40 along hwy. 34. Property is on the west side of the road.